Hello friends! I hope you are having a great evening. 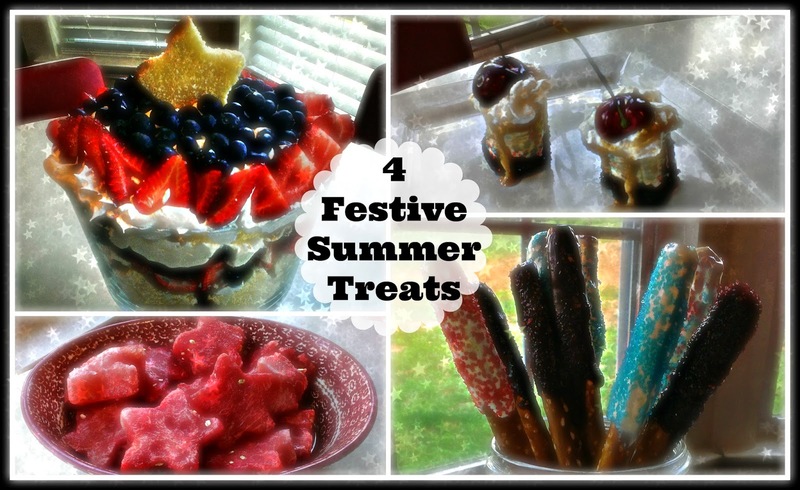 I am back with 4 festive summer treats that are so easy to make. Each one would work perfect for any 4th of the July picnic or for that matter, anytime of the summer! All 4 are non bake so they won't heat up your kitchen and even kid friendly! Each are also great for when you need to make something fast to take some where! If you want to see how to make these very delicious treats, watch the video and I will show you how! Thanks for watching! I hope you guys have a wonderful 4th of July!